Police training articles covering a wide range of topics that don’t fall neatly into one of the other categories. There is, of course, some overlap between topics. America is Starving for Leadership – An opinion piece on the lack of ethical leadership in law enforcement. Breaking Glass – Richard gives us a run-down on how to break glass to make entry into a vehicle or other conveyance. Death Notification: The Toughest Job in Law Enforcement – This is a law enforcement training article on the delivery of death notifications. Tough stuff, but we need to learn to do it right. Do’s and Don’ts of Successful Traffic Court Appearances – Tips for winning your case in traffic court. Executive Leadership in Training – What role does the police chief and command staff have in the training function? Quite a bit if they are leaders and not just managers. I explain in this article. Good Faith Police Work by Larry E. Holtz – A law enforcement training article on the exclusionary rule and the court case Davis v. United States. GPS Tracking Requires a Warrant by Larry E. Holtz – A look at US v. Jones, etc. regarding the warrant requirements for GPS tracking. International Driver’s License: Legit or Scam? – Ever seen an international driver’s license? Do you know if it is legit or not? You might be surprised. Is Apathy Killing Your Department? – Steve takes a look at how indifference can eat away at the morale of an agency and kill productivity. Mumbai Style Attacks – Terrorism is simple to implement. How can law enforcement respond and counter the tactics? Officer Safety During Training – Officer safety isn’t just for the streets. Too many officers are killed during training. What can we do to prevent more deaths? Police Created Exigent Circumstances by Larry E. Holtz – An examination of court cases related to exigent circumstances created by law enforcement actions. Problem Solving in the Aftermath of Disaster – If your community is hit by a disaster, either man-made or natural, how does your organization deal with the problems that come up? Have you even conducted training exercises for disaster response? Reasonable Force vs. Least Force – There is a distinction between “reasonable” and “least” when describing force. Knowing the difference can be critical. Recognizing and Responding to a Diabetic Emergency – Can you tell the difference between a drunk and a medical emergency? Ryburn v. Huff: Threat of Violence and Warrantless Entry into a Home – This article examines the Ryburn v. Huff decision from the US Supreme Court. 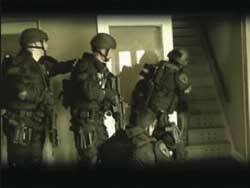 The case involves warrantless entry into a residence when a threat of violence is believed to exist. However, it is a little different than other cases that you may have read. Safe Window Breaking – Types of Glass – Randall examines different kinds of glass and how they apply to forced entry. Self Storage Units and Drug Interdiction – Have you ever considered what may be stored or cooked in those storage units located in your patrol sector? You might want to have a look. SWAT School Tips: Excellence Not Mere Survival – Tips for a newly selected officer going to SWAT school. The Demand for Mobile Forensics Continues to Grow – A patrol officer’s guide to dealing with evidence on mobile phones, tablets and other devices. The Trick to Training Cops – Long time cop and training expert Jim Glennon takes a look at what you need to train police officers. Walking into a classroom of cynical law enforcement officers takes more than a fancy PowerPoint. Three Tiers of Police-Citizen Encounters – An in-depth article and video on police-citizen encounters. Understanding the Citizens’ Right to Use Force – In the academy they taught you when you may lawfully use force, but did they teach you anything about the individual citizen’s right to use force?